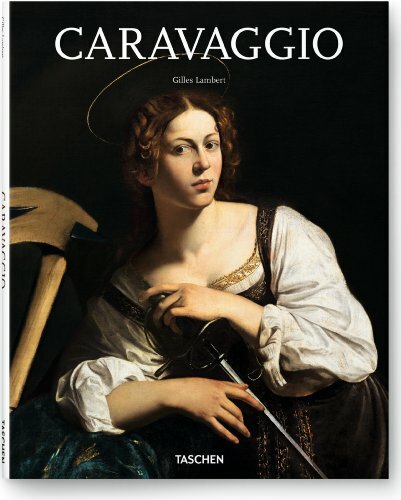 This book Caravaggio authored by Gilles Lambert is sort of a condenses version compared to publisher Taschen's other book Caravaggio: The Complete Works by Sebastian Schutze. It's 96 pages vs 306 pages. This is one of Taschen 25th anniversary series of book, so while this hardcover edition is thinner, it's also much cheaper. However if you want to get the complete works, then go for the other book. Caravaggio is an amazing painter. His use of lighting and shadow is sublime. It's captivating to look at his paintings. Unfortunately I've not seen any of his paintings in real life, but I would imagine they would be even better. The paintings featured are reproduced at various sizes, in full, double and quarter pages, and occasionally with zoomed in views. Looking at them will only make you want to look at the original in full size which are many times bigger that can be showed in a book. The text talks about Caravaggio's life and it's an interesting read as his lifestyle is that of art and brawl. It's a good book. The art is awesome.